Did you know scrap yards were the original recyclers? 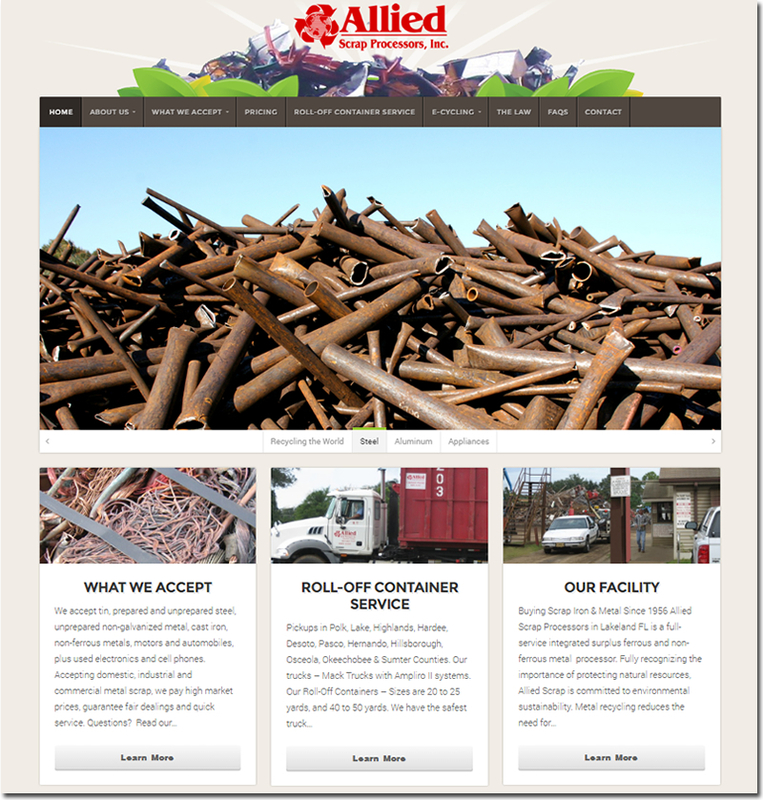 Allied Scrap has been buying and selling metal for recycling for over half a century. It is important for Allied Scrap to quickly communicate to it’s customers what they accept and what they don’t accept, and how delivering scrap metals is done at their facility. Contact us for our full website design portfolio!